Past months we see huge increase of cookie related warnings from many sites, especially from reliable and trust worth sites, such as social networks or world known brands. Is it dangerous, if I see this warning? Yes, for web designers. And for you as well. And unfortunately for hackers too. Web designers and publishers are able to open personalized session for you and keep your profile for next visit. That is why your Facebook stay connected each time you restart your computer, or your language preferences are reloaded each time you return to page and why shopping cart in e-shop can remember your items. It can have many other useful functions, from sweet to bitter. 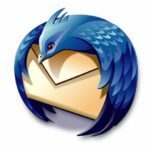 Privacy issue – yes or not? It depends. Simplest cookies are used for example just to determine if visitor is returning or new. 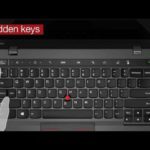 It can leave just unpersonalized trace in your computer. More sophisticated cookies can be more personal, for example account identification for Facebook or Google. Real pages never store your passwords or sensitive data inside cookie itself. “+1” or “Like” button on your favourite local news page will connect you to such social media even if you are logged off, thanks to cookie. Serious publishers are trust worth. Cookie notice on BBC. So to say loudly Yes or Not is very subjective and level of expected privacy can be very personal, professional or emotional as well. 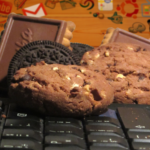 Cookie can be the gateway for spy, tracking, hacking and in certain cases it can be very difficult to delete them. Cookie helps Google or other networks to identify your digital behaviour. It is the way to profile what you like, what are you looking at, where do you want to fly, what do you like to cook or how often you visit e-shops. As consequence you see more targeted advertisements and banners. Did you ever wonder why you see offer of Jamie’s cooking book or best deals for holiday in Thailand when you have it just on your mind? Is it telepathy? Certainly not, in context of such adds is cookie and your digital behaviour traced from cookie is the lead-mark for adds content providers. 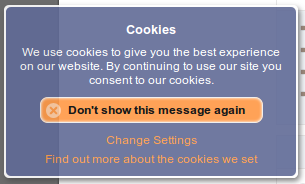 As most pages do display cookie notice or warnings with button „Accept Cookies“, soon or later you can adapt to this as safe or normal „click“. But it is nothing you want to do automatically ever when visiting untrusted or let’s say less professional websites. You may become victim of cheating, often scam or malware. For any web developer is easy to code and design any button or clickable content with nasty action on background. In most cases ignoring cookie warning – not clicking on it – works fine on trusted sites and it is safe option for all sites including untrusted. Again, it depends on every ones personal privacy concerns. You can turn off cookies in your browser, but many pages will return error message because it can’t live without it. The best way to cut the trace to minimum is to use “Private Browsing mode” in your browser. Browser in private mode will destroy all cookies and sweep out all temporary data when closed. It will not remember your social media login, it will simply forget all while it has no impact to your regular browser window. Private browsing is the must on public computers such as Internet café machines. The best way to understand Private Browsing is to try it on your own, it is easy and safe. Open new window in “Private Browsing mode” in same time as you have your Facebook or other social account active in regular window. Type in URL e.g. www.facebook.com and see what will happen. In private mode Facebook will not recognize you and it will ask you to log in. One important note: Private Browsing is not antivirus solution, visiting infected sites can rise troubles anyway, you should take same precautions as in normal browsing, it just sweeps out your session when closing browser window. Some sites can not live without cookie. Internet is most potential place, in positive and negative too. There is nothing extra wrong on using cookies, it is only every ones personal question how deep we open our privacy and who we choose to trust to. And it is the reason why you have been warned already couple of times.